Great, early example of a well programmed full scrolling ST Action Game. 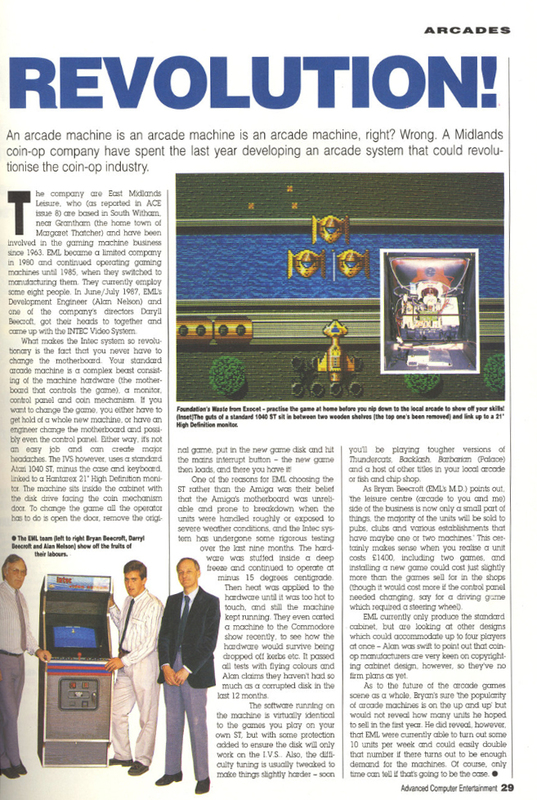 In 1988 a company called East Midlands Leisure built an 1040ST based arcade cabinets called INTEC Video Systems costing £1400 each with two games included. 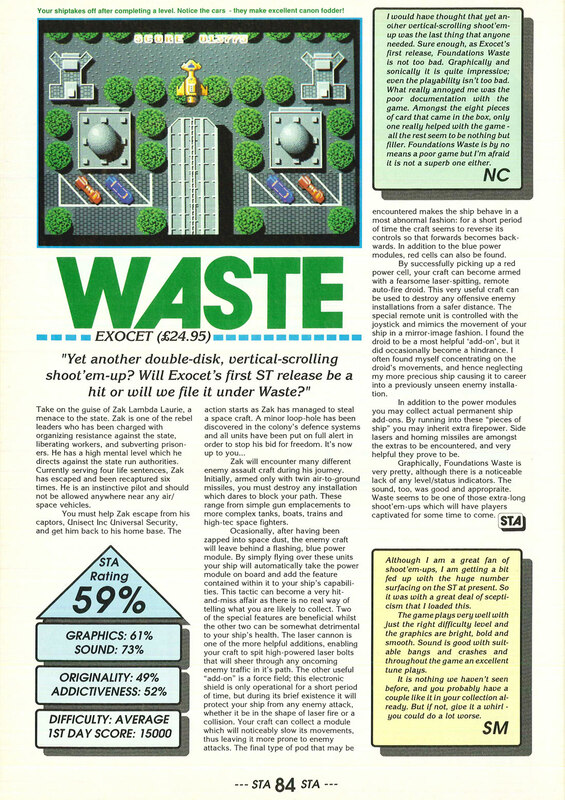 Foundations Waste was one of their releasegames.